When you are charged, you will be given the contact information of the organization so that you can request a tax receipt. 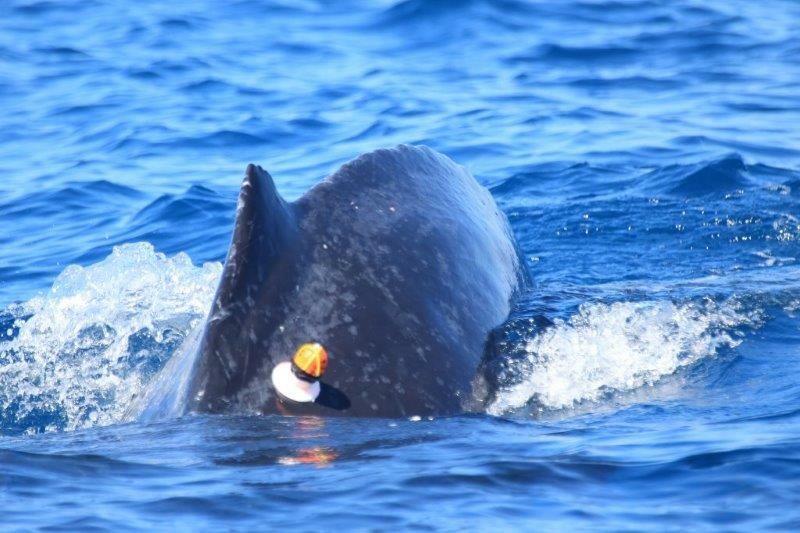 we are experts at approaching whales - half the battle or more than half, is being able to get close to the wild animals and then get a tag on. That, we do very well. The tag stays on 1-3 days typically, then we retrieve it by tracking the ping from the antennae we built into it. we are looking for dive depths, respiration rates, sounds made by mothers and calves to each other or "conspecifics" (other animals in the groups), location/ travel rates and esp. night time activities since that is when we can't see or track them without tags. What the tech element of these tags add is letting us track them at night, and, for longer than we can when we put divers in the water, and, gives us a more complete view of their daily patterns.